Austin, Texas is home of ACL and SXSW. The Texas State Capitol building in downtown Austin welcomes everyone. 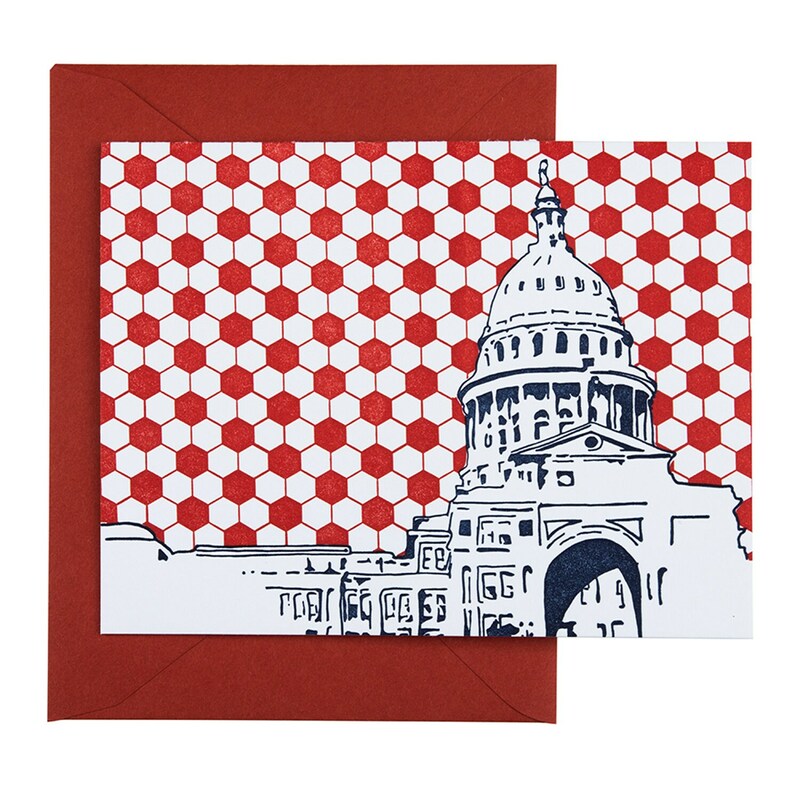 Texas State Capitol Building is a 2-color letterpress printed card with a hand illustration of the capitol building with a hexagon pattern in the background. 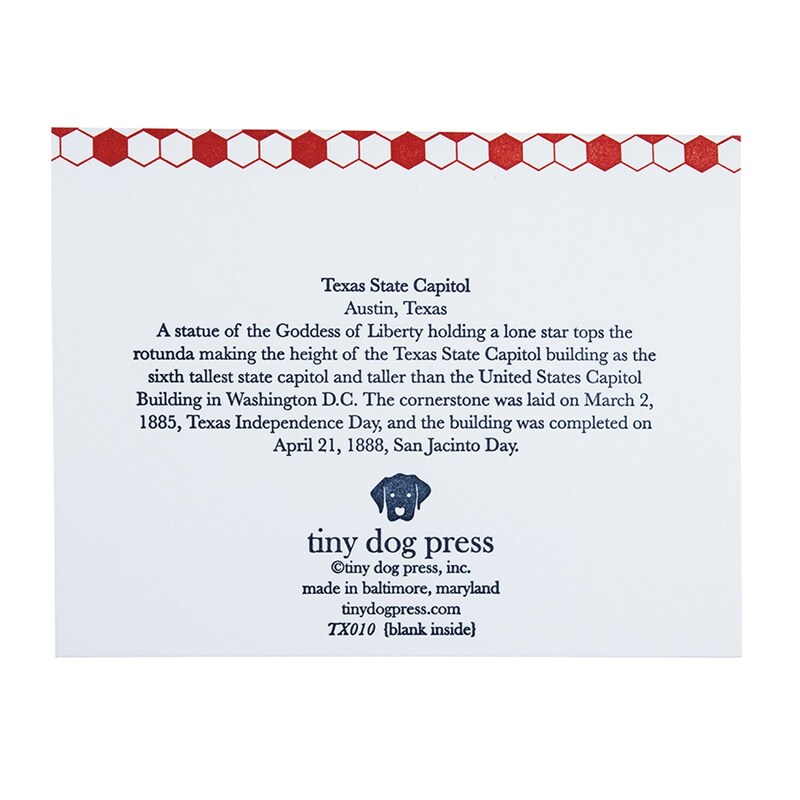 A short blurb on the history of the building is on the back of the card.